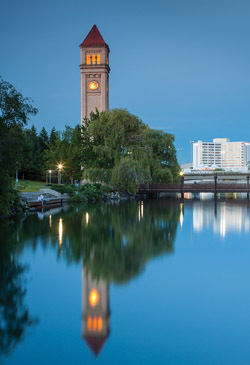 SPOKANE is Washington’s second largest city, after Seattle. Incorporated in 1881, it is also 12 years younger, and its world’s fair, Expo ’74, followed Seattle’s—the Century 21 Exposition of 1962, more familiar as the Seattle World’s Fair—by more than a decade and didn’t leave a marker nearly as dramatic as the Space Needle. Expo ’74 was, however, the first world’s fair to be devoted to protecting the Earth’s environment. Looking back nearly 40 years later, that has to count for something, because it was also one of the first fairs in decades to celebrate a theme other than “the future.” And its chief legacies—a cleaned-up Spokane River running with trout, and a gorgeous Riverfront Park where there had been a slum and a rail yard—marked the beginning of a welcome return to nature at the heart of the city’s urban core after nearly a century of commercial development. In fact, the two cities have a good deal in common. Both owe their establishment and much of their early prosperity to the proximity of water. Both can boast notable “City Beautiful” park systems designed by the Olmsted Brothers. And both have been chosen as venues for national conferences by the National Trust for Historic Preservation: Seattle, in 2010, for the National Main Streets Conference, and Spokane, this coming October, for the National Preservation Conference. 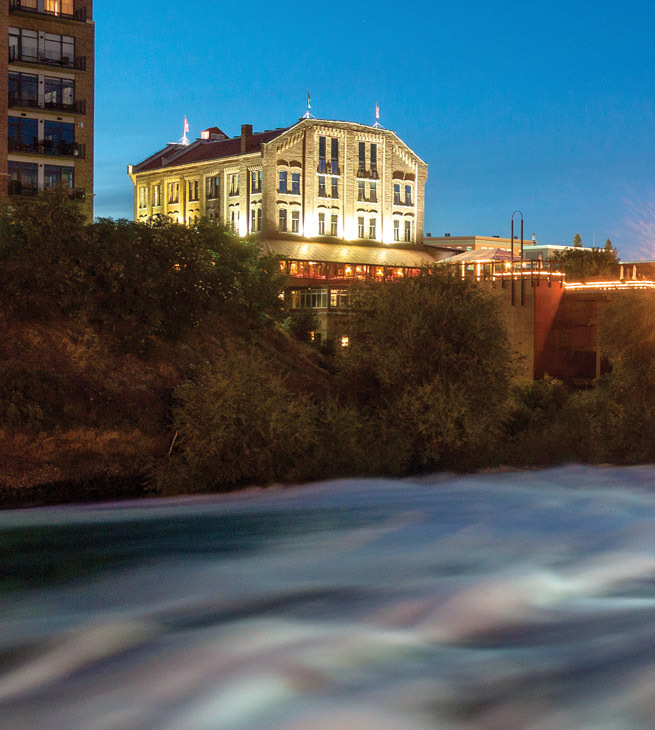 (See “National Trust Coming to Spokane,” Issue No. 74, Summer 2012.) 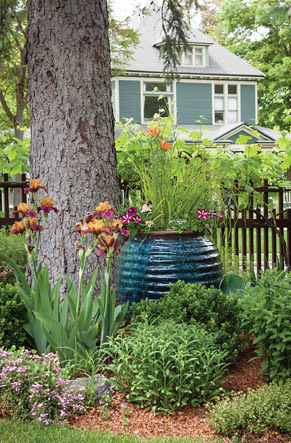 Finally, and significantly, both enjoy a heritage of Craftsman-style bungalow neighborhoods they share with cities and towns of a certain age across North America and as far away as Australia and New Zealand. Founded in 1873 by James Nettle Glover, Spokane was a small settlement first known as Spokan (sic) Falls after the Native American Spokan Tribe and the majestic falls of the Spokane River (the “e” was added in 1883, and in 1891 “Falls” was dropped). The natural resources of eastern Washington—fertile soil, timber and mineral wealth—and the presence of the river as a source of power were a potent lure for western settlers. The city was incorporated in 1881, when it was transformed by the arrival of the Northern Pacific Railroad. In 1883, it experienced its first boom when the discovery of gold in Idaho’s Coeur d’Alene mining district suddenly established it as the center of regional commerce and the main gate to the Pacific Northwest and the Inland Empire, which stretched from southern British Columbia to Oregon’s Blue Mountains and from the Cascades to the Rockies. Spokane’s influence was so great for a time during this period that the radical idea briefly arose of making Spokane its own state. When the Great Fire of 1889 destroyed 32 blocks of predominantly wooden structures in the central portion of the city, Spokane’s response was to rebuild immediately—in a far grander fashion, helped by local investors funded by money made in the mines—with substantial and elegant buildings of brick, stone and terra cotta. Rebounding from the national depression of 1893–98, Spokane experienced another building boom at the turn of the century. Construction further expanded the downtown area, and the city nearly doubled to 37 square miles in 1907 when the city limits were extended. prevent Spokane from falling victim to rampant industrialization. In 1907, they established a nonpartisan parks commission, headed by Aubrey White, a successful businessman who had witnessed the success of city-beautification developments designed by the Olmsteds on the East Coast. White and other commissioners sought to transform the entire city of Spokane into a “City of Parks,” a feat that could be accomplished only with the implementation of a cohesive park system. After several meetings with the Olmsteds in 1907 and 1908, a plan for a Spokane city park system, modeled after the firm’s previously implemented plans for Seattle and Portland, was drawn up. Unlike smaller towns in Washington like Walla Walla, and other regional cities that adopted Olmsted plans for individual parks or estates, Spokane chose to adopt the Olmsted plan for the entire city, and in 1913 the Spokane Chronicle reported that the Parks Commission had successfully developed one acre of park for every 58 city inhabitants. 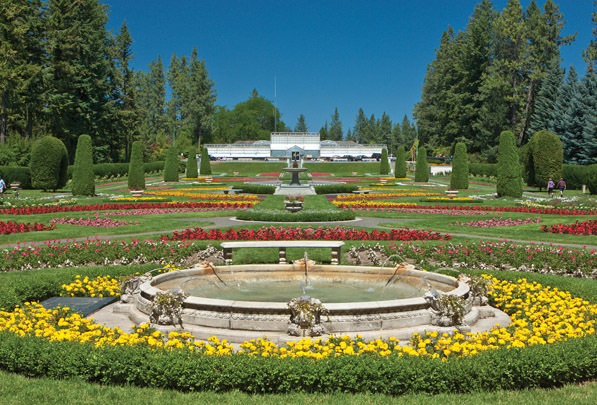 Although securing natural pieces of picturesque land was initially the concern of Spokane’s wealthy upper class who could afford to own large areas of open space for private recreation, the Olmsted plan was formed around a more democratic idea that appealed to the city’s growing working-class population. In their report, the Olmsteds wrote that “Parks are for the greatest good for the greatest number,” and further described the health benefits experienced by individuals who were able to enjoy the outdoors as a necessary break from work. As parks began to open to the public during the summer months, families took their dinners to the parks, and other park activities, like sporting events, became popular diversions. The Olmsted design sought to establish a park within walking distance of every home in the city, and although not enough money could be secured to fully implement that idea, the parks commission succeeded in developing a variety of both small and large parks, as well as playing fields, for public benefit. The city’s parks heritage was further embellished in the early 1970s, when the decrepit industrial and rail-yard area of downtown was razed to make way for the fair, which was headquartered in today’s vibrant Riverfront Park, now surrounded by restored commercial and residential historic districts. Much of Spokane’s history is captured in its buildings. More than half of the structures in the downtown area stand in three separate National Register historic districts. The city as a whole has 18 such districts. The city’s peak period of growth, which took the town from 350 residents in the early 1880s to more than 104,000 in 1910, happened to coincide with the expanding popularity of the Arts and Crafts movement. 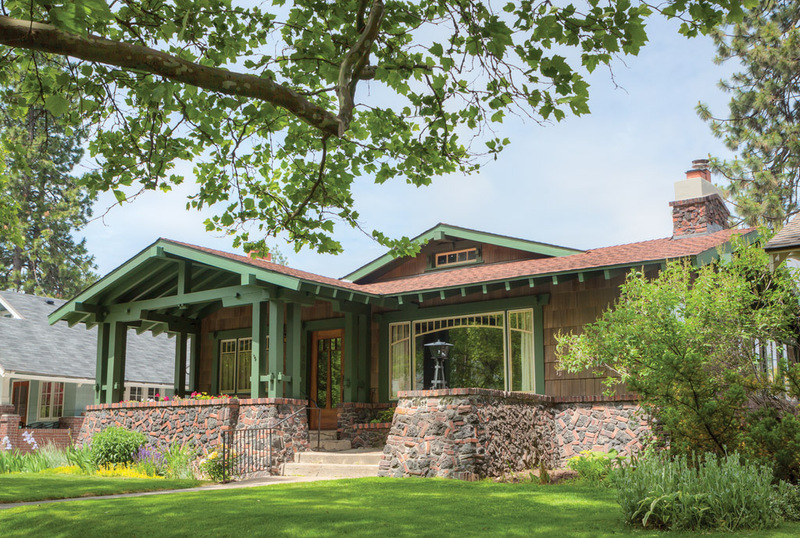 The result left Spokane with an impressive collection of high-quality Craftsman architecture, in which bungalows are particularly well represented. 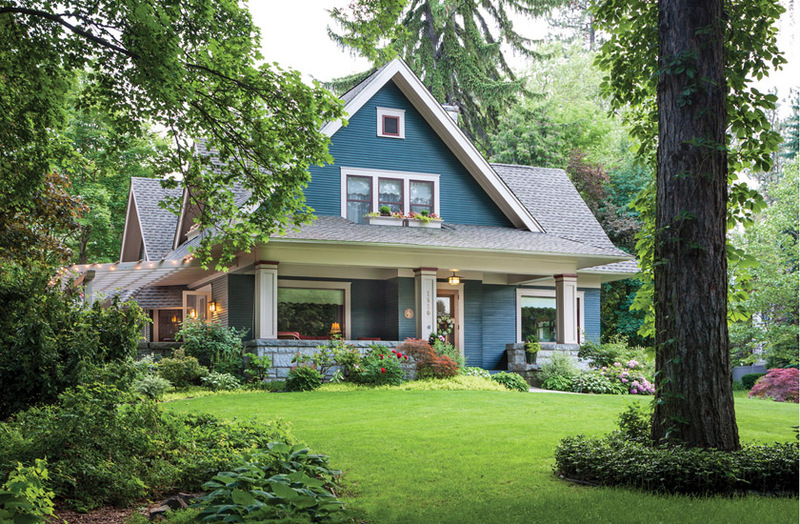 As in other parts of the country, the Craftsman bungalow’s simplicity, affordability and adaptability contributed to its popularity in the Northwest. Locally available materials like timber, tile and stone were well suited to the style. 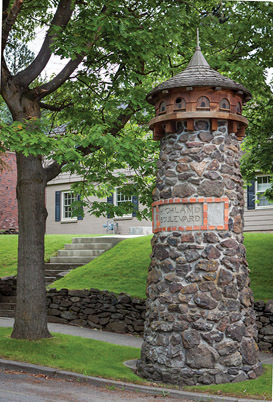 Hundreds of these houses were constructed in Spokane during the two decades surrounding the turn of the 20th century, demonstrating regional stylistic preferences and a local connection to a national phenomenon. Nettleton’s Addition, a streetcar suburb platted in 1887, became the largest historic district on the Washington State Heritage Register in 2005. Its history has mirrored the lifecycle of American cities of its time: initial rapid development (more than 70 percent of the existing housing stock was built prior to 1910), slow decline through the mid-20th century and, since the 1970s, urban renewal and gentrification. Today, Nettleton’s Addition residents are still attracted by these natural features, in addition to now-historic homes, proximity to a newly revitalized downtown and a major “New Urbanism” development proposed on its southern boundary. Photographer Joe Becker, a Spokane native now living with his family in a bungalow in Tacoma, recently returned to his hometown to document it for this article. Growing up in the late 1960s and early ’70s, he had to bicycle through near-downtown bungalow neighborhoods, many now in historic districts resplendent with restored Craftsman homes. “Those were areas you didn’t really want to go,” he recalls. “They were dirty, rundown, and you got through them as fast as you could. But the houses were kind of nice, even though they weren’t being taken care of. Later, it made me feel good when they started restoring them and turning the neighborhood around. Portions of this article are adapted, with permission, from material published by the City-County of Spokane Historic Preservation Office on its website, historicspokane.org. We are grateful to Historic Preservation Officer Kristen Griffin and to others in Spokane who assisted with our research.